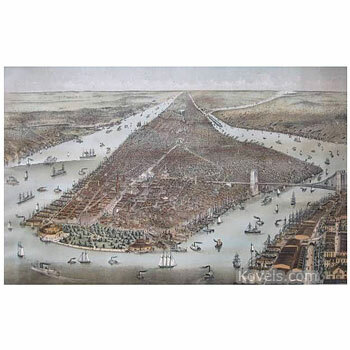 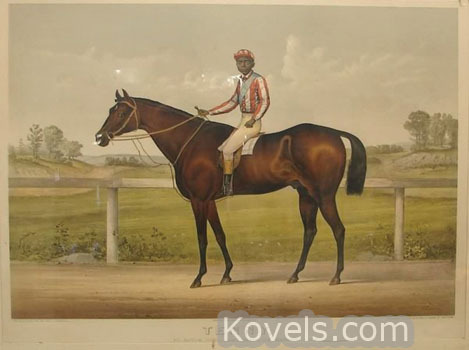 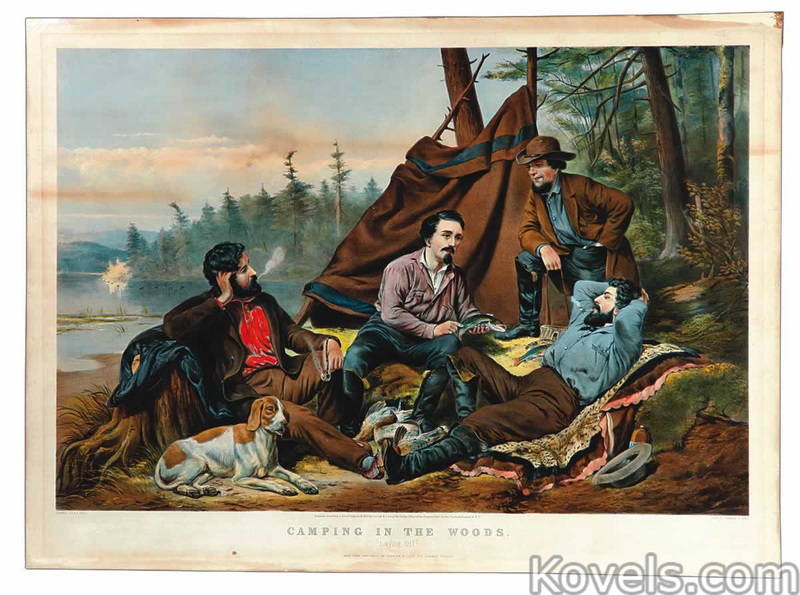 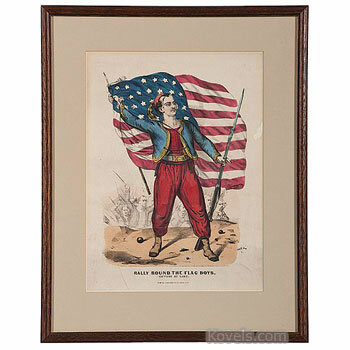 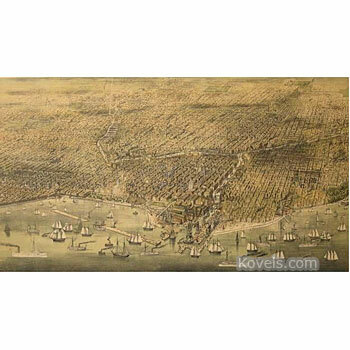 Currier & Ives made the famous American lithographs marked with their name from 1857 to 1907. 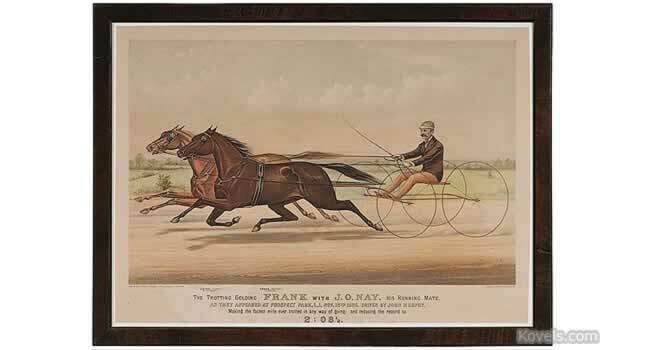 The mark used on the print included the street address in New York City, and it is possible to date the year of the original issue from this information. 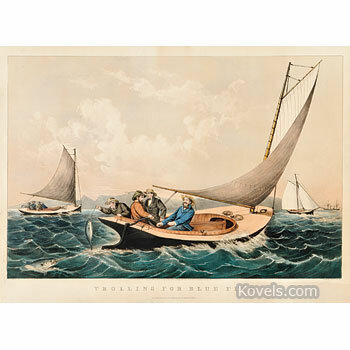 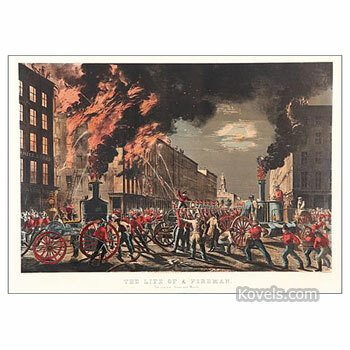 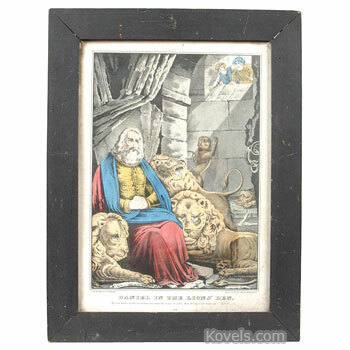 Earlier prints were made by N. Currier from 1835 to 1857. 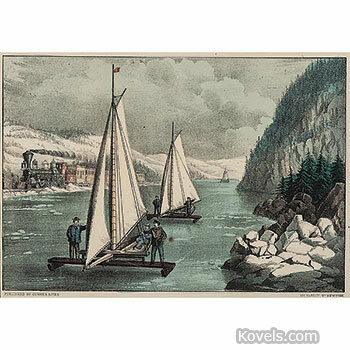 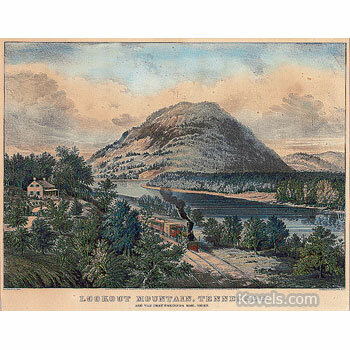 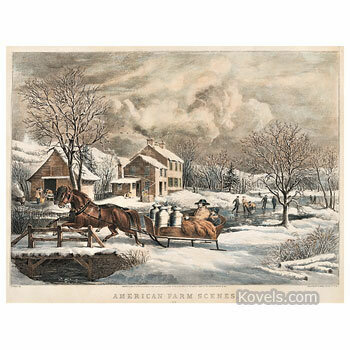 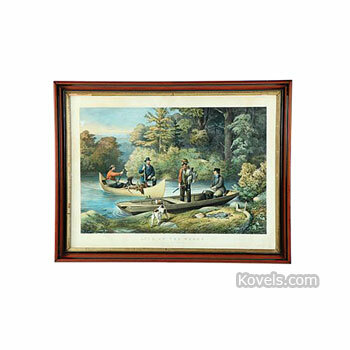 Many reprints of the Currier or Currier & Ives prints have been made. 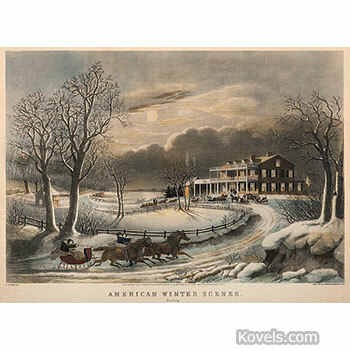 The Currier & Ives name appeared on all the prints; so if it does not appear on yours, it is either a copy or a trimmed print—both of which are less valuable than untrimmed originals. 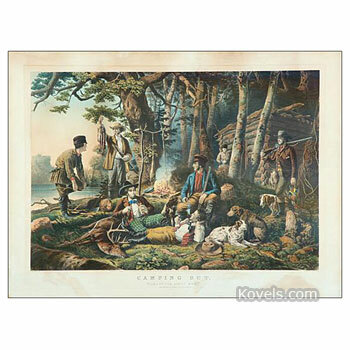 Some collectors buy the insurance calendars that were based on the old prints. 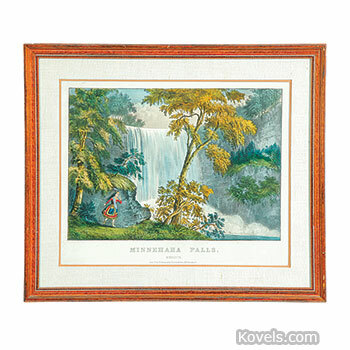 The words large, small or medium folio refer to size. 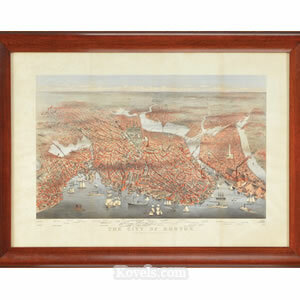 The original print sizes were very small (up to about 7 x 9 in. 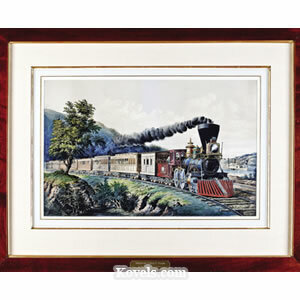 ), small (8 4/5 x 12 4/5 in. 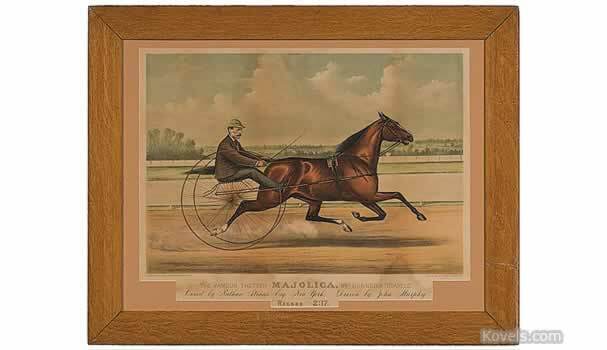 ), medium (9 x 14 in. 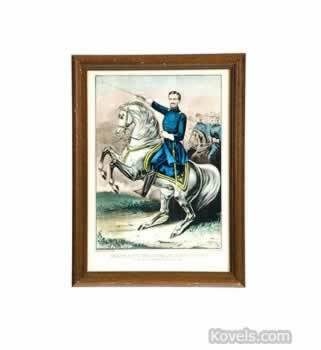 to 14 x 20 in. 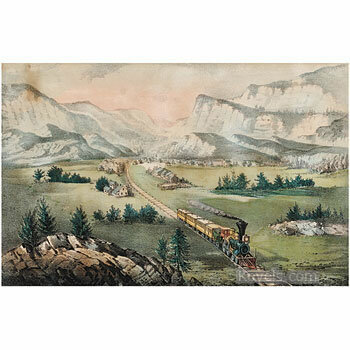 ), and large (larger than 14 x 20 in.). 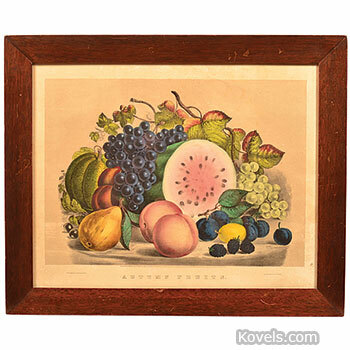 Other sizes are probably later copies. 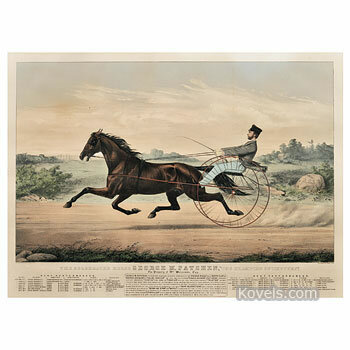 Other prints by Currier & Ives may be listed in the Card, Advertising, and Sheet Music categories. 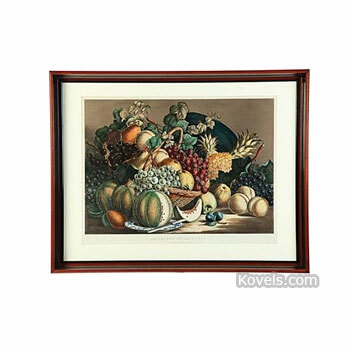 Currier & Ives dinnerware patterns may be found in the Adams or Dinnerware categories.